Two recent news stories underscore why factory farming must end and how some powerful interests are working to make that happen. Last week, A new study found compelling and disturbing evidence that a novel form of the dangerous superbug Methicillin-Resistant Staphylococcus Aureus (MRSA) can spread to humans through consumption or handling of contaminated poultry. “We’ve known for several years that people working directly with livestock are at increased risk for MRSA infections, but this is one of the first studies providing compelling evidence that everyday consumers are also potentially at risk,” said one of the authors of the study. 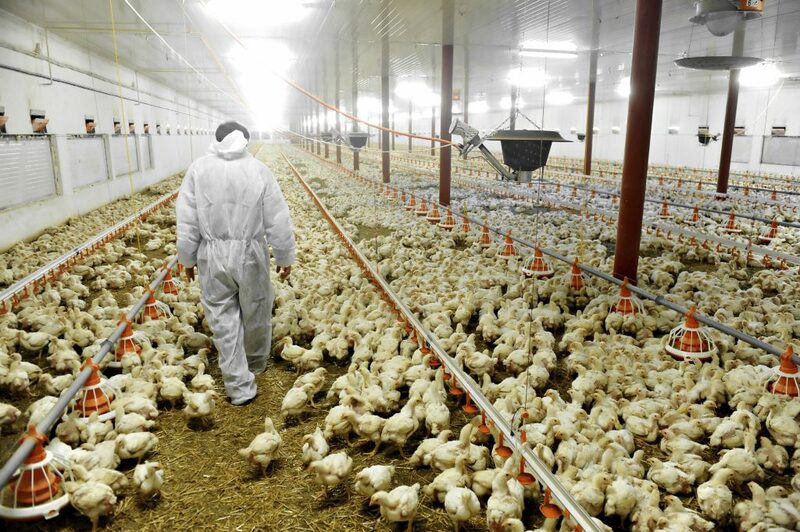 Intensive farming practices, which often involve giving food animals low doses of antibiotics to encourage fast growth and compensate for overcrowding and unsanitary living conditions, has led to the spread of superbugs like MRSA. Those same conditions, which billions of animals around the world must endure, are the reason animal advocates have called for an end to factory farming on animal welfare grounds. Animal suffering and dangerous superbugs are, of course, not the only unwanted consequences of industrialized animal agriculture. Intensive farming also degrades our environment, including contributing 14.5 per cent of all greenhouse gases to global climate change. It uses up huge amounts of land, water and energy. And, not least, its end product is meat – the overconsumption of which can be damaging to human health. The other related news story acknowledges these problems and offers solutions. This week, a group of 40 investors managing $1.25 trillion in assets launched a campaign to encourage 16 global food companies to shift from selling meat to selling plant protein. “The world’s over reliance on factory farmed livestock to feed the growing global demand for protein is a recipe for a financial, social and environmental crisis,” said the investor leading the initiative. The meat and livestock sector is no longer just the target of grassroots activists and animal advocates. The world, including the world of finance, is waking up to just how unsustainable this industry is.